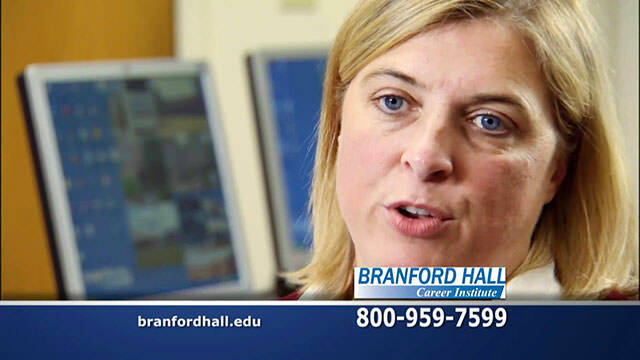 Branford Hall Career Institute, a vocational training institute with campuses located throughout New England, joins a growing list of for-profit education “corporations” that have threatened CollegeTimes over negative student reviews appearing on our website. The following piece is a speculative exploration of what likely lead up to BHCI threatening us via a cease-and-desist letter sent via email in October 2012. CollegeTimes has received a surprising amount of threats (and hacking attempts) since we first launched our college reviews service for students back in 2008. The illustrative thing about this trend, however – the common denominator, if you will – is that nearly all of these threats come from private, for-profit, unaccredited institutions in North America that focus solely on career (vocational) training. Why? Because these are the types of schools and colleges that most frequently prey on unsuspecting (blue collar) students, and therefore receive many negative reviews online. These institutions are also most likely to hire unqualified instructors, while charging students more than top-rated public universities. Thankfully, the internet age is slowly forcing transparency to exist within the higher education system, albeit, not as effectively as many consumers believe. With a US legal system that favors the richest players, corporate lobbying at all levels of the federal government, and the majority of websites out there accepting bribes from these institutions and their investors, CollegeTimes continues to stand out among college review websites as one of the only resources that doesn’t compromise its integrity for a quick profit. Branford Hall Career Institute is the latest for-profit college franchise to threaten CollegeTimes. The career training school is one of many brands owned and managed by the Premier Education Group (also known as PEG), a parent corporation focused on acquiring vocational schools in the northeastern United States. The group currently controls education brands such as Harris School of Business, Salter College, Hallmark Institute of Photography, Seacoast Career Schools, and others. In October 2012, a cease-and-desist letter (PDF embedded below) was emailed to the CollegeTimes team from the “Meltzer, Lippe, Goldstein & Breitstone, LLP” law firm based in Long Island, New York, on behalf of the Premier Education Group. Our team made the decision to wait before publishing this story (and letter) in order to gather more research on what had prompted the sudden threats, since at the time, a very bizarre lawsuit complaint filed by Neumont University against my web hosting company, Little Bizzy, was pending dismissal in federal court in Nevada. After reviewing the CollegeTimes server logs in detail, along with the contents of the letter, it became clear that Premier Education Group (Branford Hall) officials may have been in recent touch with Edward Levine, the President and CEO of Neumont University based in Utah. CollegeTimes logged multiple visitors from the Meltzer Lippe internet service provider (ISP) in New York who showed unique interest in Neumont University’s profile, along with a handful of other for-profit vocational colleges that are owned by PEG. These website visits were extensive and repetitive and took place over the course of several days during October 2012. But the story doesn’t end there. Levine, hilariously the co-author of Deep Branding on the Internet: Applying Heat and Pressure Online to Ensure a Lasting Brand, has worked with various for-profit career training schools across America, including Neumont University in Utah (where he is currently the campus president, CEO, and also a key investor), and Johnson & Wales University in Rhode Island, according to his LinkedIn profile. (Apparently, Levine’s “branding” strategy involves threatening anyone that does not heap praise on his corporate clients.) His book, co-written with fellow-Jew Marc Braunstein, has only 11 reviews on Amazon.com, most of which seem to have come from Levine’s hometown of Providence, Rhode Island during the year 2000. The most interesting part of Branford Hall’s threatening letter to CollegeTimes, though, which is dated October 22, 2012, is that it cites various items they could have only known about from direct contact with Levine or Neumont University officials. Specifically, the letter refers to elements of Little Bizzy’s motion to dismiss, filed in September 2012 with the US District Court of Nevada, in response to Neumont’s lawsuit over negative student reviews appearing on the CollegeTimes website. While most court records eventually become public in the United States, BHCI’s letter surely would have taken at least several days (or weeks) to prepare, meaning that somehow, they must have received detailed inside knowledge of the case from Neumont University. Update 5/22/2014: That BHCI must have been in contact with Neumont is now further confirmed, as in fact Little Bizzy’s motion to dismiss was never allowed in public court records after a federal judge “struck” it from the record for suspicious reasons.